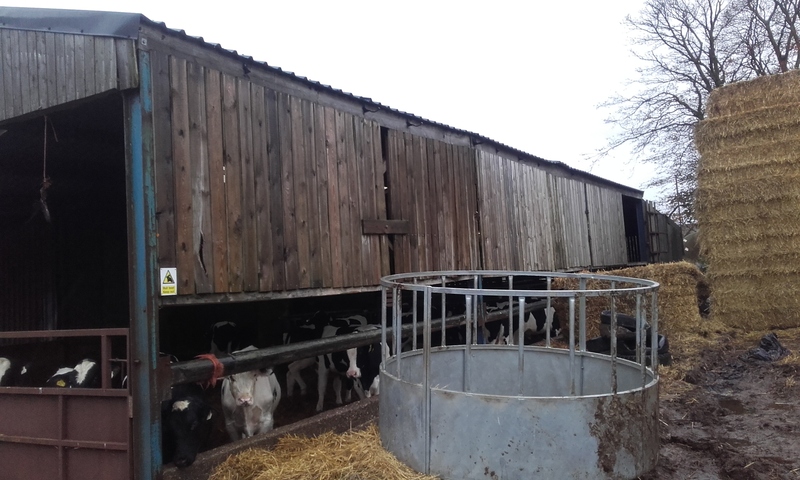 One large livestock housing building in a farmyard had no rainwater guttering or downpipes. This meant clean rainwater would run off the roof, onto an area of the yard which was contaminated with mud and manure. This was resulting in the creation of dirty water which could find its way into the farm drainage system and eventually into the Esk. Copyright NYMNPA.